Lowry’s debut novel is charming, every bit as tongue in cheek as its title suggests. Don’t look for any deep analysis of cultural appropriation here. Happy-go-lucky Tucker isn’t too worried about what his parents will say or where his life will lead when he drops out of college. It’s so unimportant to him that he never gets around to telling us why he left (or was thrown out). Upon hearing a young Chinese woman speaking Mandarin and sounding distressed in a highway rest stop, he convinces her to let him give her a ride, and soon finds himself in a will-they-or-won’t-they with no-nonsense Corinne Chang. Through an old friend and fellow Chinese food chef Langston Wu, he lands them both jobs at the Eastern Palace in St. Louis, where dodging members of a small-time gang who think Corinne stole their diamonds is almost as important as winning a competition to be crowned best Chinese chef in the city. The novel shines when its focus is on the food. From purchasing the perfect carp to tips on how to make fried rice (hint: always start with cold rice), the sumptuous food descriptions had me turning the pages, hungry for more: “The shreds [of steamed pork, ham, and chicken] went into a bowl, laid along the side vertically, alternated with the shredded bamboo shoots until they filled the bowl. Put a plate on top of the bowl, flip it over, and pull it off and you have a perfect mound of the meats sitting beautifully on the platter in three colours, drizzled with a light chicken stock-based sauce.” Yes, please. 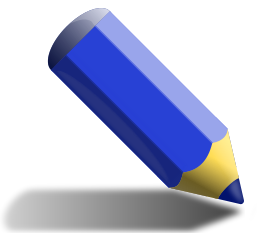 It stumbles a bit when it comes to its characters. Reminiscent of Ferris Bueller, Tucker is perfect, irritatingly so. There isn’t a thing this twenty year old turns his mind to that he doesn’t do with flare and witty quips. A taiji practitioner, he knows exactly how to punch a guy in the solar plexus and then talks him through how to cope with the physical reaction. He cooks the perfect Five Willow Fish and trades insults in Mandarin with seasoned chefs. He says things like “Pity” and “I’m impetuous,” and continually refers to Tucker’s Rules, a set of cheeky rules of unexplained origin that are used as chapter headings and then repeated in the body of each chapter. (“Rule #81: Between substance and appearance, know when to focus on which,” “Rule #3: Incredibly beautiful, exotic Asian babes are almost never psycho ax murderers.”) These are gimmicky, unnecessary to the plot and only serve to make him seem even more self-important. The secondary cast are cute and entertaining but not terribly true to life. The question of whether he and Corinne will get together is obvious, and the romantic payoff slim. Light on plot and tension but nonetheless funny and entertaining, this is the book for you if you enjoy eating or cooking and want a glimpse inside a proper Chinese kitchen. Don’t worry too much about the diamond thieves, just inhale the scent of ginger on your way to the happy ending. A copy of this book was provided to me by Houghton Mifflin Harcourt in exchange for an unbiased review. 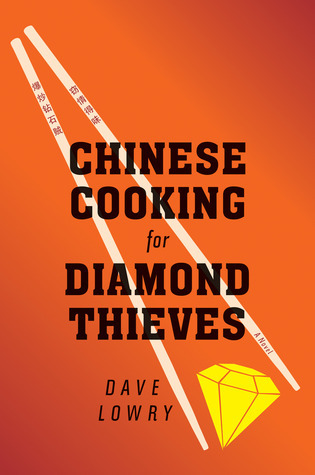 Chinese Cooking for Diamond Thieves by Dave Lowry, published in Canada by Houghton Mifflin Harcourt, © 2014. DeeBrief reviews are shorter reviews that give you a concise snapshot of my reaction to the book.